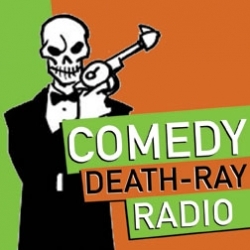 On 1/16/10, Tony recorded Scott Aukerman's "Comedy Death Ray Radio" podcast (later renamed "Comedy Bang Bang") which was released on 1/18/10. This was recorded at Punch Line San Francisco during the San Francisco Sketch Festival. The podcast featured Scott Aukerman, Doug Benson, Dana Gould, Michael Ian Black, Paul F. Tompkins and Reggie Watts. An episode of Doug Benson's "I Love Movies" podcast (later renamed "Doug Loves Movies") with the same comedians was also recorded on that date.